Today, January 31, 2019, Pentax has announced their two new lenses for APS-C and FF cameras – HD PENTAX-DA★ 11-18mm f2.8 ED DC AW and HD PENTAX-FA 35mm f2. Both lenses can be already pre-ordered. 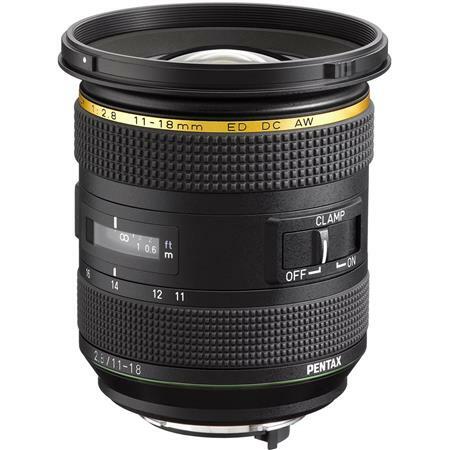 11-18mm is a long awaited lens for Pentax APS-C cameras shooters. This is a new member of “Star ★” series Pentax lenses, with high performance and ultra-wide-angle capabilities. It provides exceptional image quality and is ready to accompany the future camera models. Traditionally, being a Star-lens, the new DA★ 11-18mm f2.8 is dustproof and weather-resistant, ready for the most demanding outdoor environments and situations. To reinforce its outdoor features, DA★ 11-18mm has special space (in front of the focus ring) designed for holding a heating device. When used, such device should prevent condensation and metallic frame should transmit the heat from the heater to the lens itself. This solution should improve the operability of the lens in some outdoor situations, especially for long-exposure shots in cold weather conditions. The lens also has a Focus Clamp Mechanism designed to lock the focus at the desired focal point. Another old new or new old lens is 35mm f2 lens for full-frame cameras. In fact, this is an update of the good old SMC Pentax-FA 35mm f2 AL lens. Due to the fact that this lens is equipped with aperture control ring, potentially it can be used with any digital K-mount Pentax camera. This was a real step (though not all photographers appreciate it) towards both old and new camera bodies users. It has an updated exterior design. And the major upgrade concerns the lens coating. Pentax used the new HD coating that reduces ghosting and improves anti-reflective performance. HD coating also improves the transmission of light through the glass. Front element of the lens has SP (Super Protect) coating, protecting it from water and grease, with some repellent capabilities. Again, one more step towards outdoor shooters. 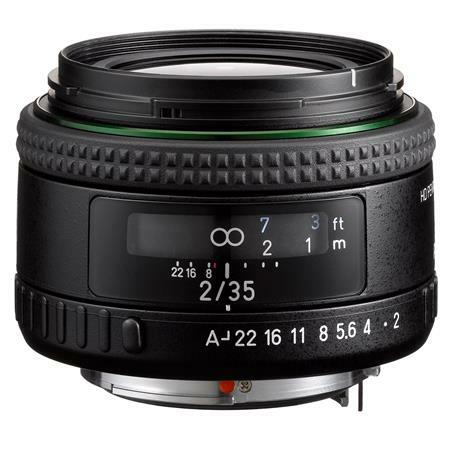 The updated FA 35mm has small minimum focusing distance of 0.3 meters.